"What a cast! 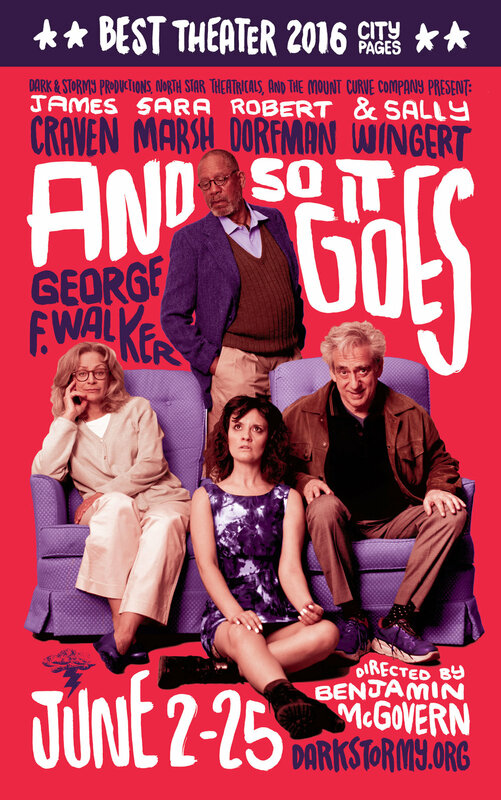 And So It Goes features the acting stylings of Sally Wingert (the family fixer, drinking but never feeling that ineffable Williamsesque "click"); James Craven (precise and resonant, brilliantly analytical); Robert Dorfman (louche and weirdly loose, gleefully self-obsessed); and Sara Marsh (troubled, given to barely-controlled hysteria, beautifully illogical). Brilliantly directed by Benjamin McGovern, these characters compel. Kudos to the design team, who give And So It Goes real oomph: Mary Shabatura (lights), Lisa Jones (costumes), Aaron Newman (sound), and Katie Phillips (properties)." — John Olive, How Was The Show?